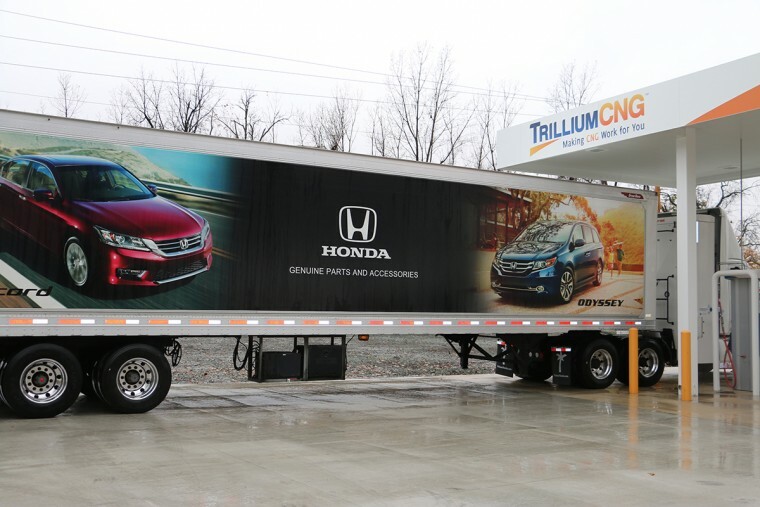 Today Honda announced the opening of a compressed natural gas (CNG) station at the car company’s Troy, Ohio campus. 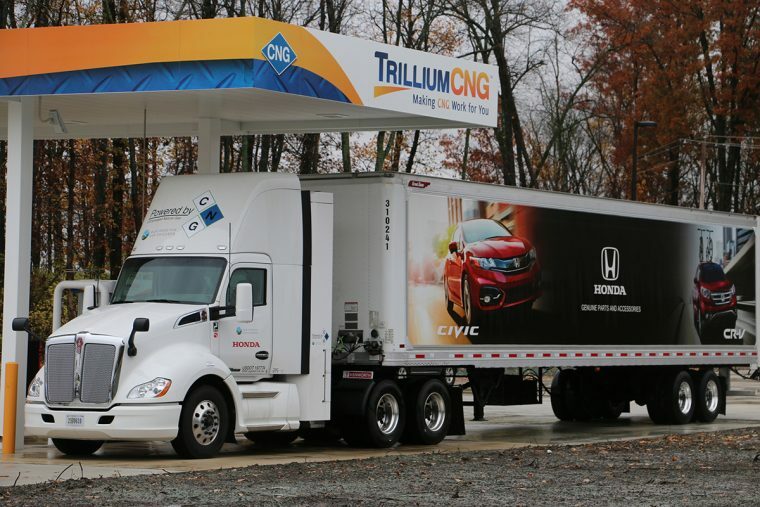 Designed, constructed, and operated by Trillium CNG, the new fueling station becomes just the second public CNG station located on a Honda property in North America. The first, which opened at Honda of America Manufacturing in Marysville this past August, is also located in central Ohio. Both CNG stations are part of Honda’s goal of reducing total company CO2 emissions by 50% by the year 2050, which the automaker is accomplishing, in part, through its “green fleet” program. According to Honda, the initiative has helped the company reduce the CO2 emissions intensity of its parts shipments by 37% since the year 2009, and reduce waste from parts distribution centers that is sent to landfills by a whopping 99.3%. The new CNG fueling station in Troy is located near Honda’s parts consolidation and distribution operations, at the intersection of S. Stanfield Road and Commerce Center Blvd. In addition to featuring two Class 8 dispensers for over-the-road carriers, the fully automated station can also be used by customers who drive CNG-fueled cars.